Grooming Tips ...For the Boys! One of my Beautiful readers asked me recently to write a special post, featuring grooming tips for men! Of course, I couldn't wait to accept this challenge ... so here goes! As well as grooming tips aimed at the fella's I will be including top products which you could treat your partner to this Christmas! Obviously I am not a man, so these are not Tips I have practiced myself, they are however, male specific skin and body care tips I have been taught at beauty school and picked up along the way! Boys - let me know if there is anything you would do differently! Lets get real! Its 2013. Skincare is not just for the girls anymore, men have stopped being shy about their bathroom routine - there is a whole world skin care products available that are tailor made for your guys skin! So, is a mans skin really different than a women, Or is it all just a clever scheme to get today's man to spend more on his skincare routine without having to feel all feminine about it? The answer is YES, there is a difference! Men have thicker skin than women due to their higher levels of testosterone - this means they need more moisture! Men also tend to have a rougher skin texture than women, this can stem from all that shaving - that's why it is essential to use a shaving cream guys! Lots of men also suffer from acne or oily skin longer than women due to higher levels of sebum (or oil!) in their skin - if this applies to you then your best bet is to choose a product with little or no oil content or products aimed at oily skin! ☮ Cleanse - Use a face wash or gel suited to your skin type, you can find ones for oily skins, dry skins, sensitive skins and normal skins. Just apply it all over your face and rinse off! ☮ Exfoliate - Doing this 2-3 times a week will allow the skin cells time to renew. Exfoliating removes dead skin cells, making your skin less dull, more radiant and allowing potential ingrown hairs to get through the skin. ☮ Moisturise - this step is essential! Choose a moisturiser suited to your skin and apply all over your face and neck - this will stop dryness and soothe your skin. Take a look at my SkinCare Wishlist featuring a save vs spend! Many men shave everyday, as they cant bear to be without that clean, smooth skin, but if you must shave everyday guys, try to follow these tips, which will keep your skin looking great too! ☮ Shave after you have taken a shower! The steam from the shower will soften the skin and open the pores - meaning less drag and tug when you glide the razor over you skin - the hairs will remove with much more ease and much less pain! ☮ Exfoliate before you shave 2-3 times a week - this removes dead skin cells and allows annoying ingrown hairs to break through the skin - no more spots! ☮ Avoid using everyday soaps as your shaving cream - they can be very drying on your sensitive face skin. 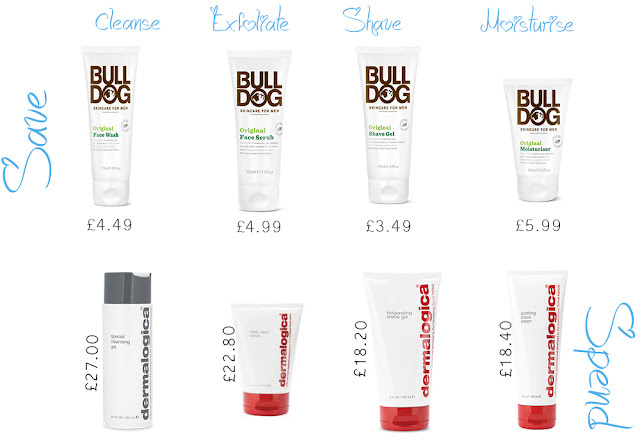 Always opt for a shave specific product! ☮ It may seem obvious, but pay close attention to which way your hair is growing! The hairs don't grow in the same direction over your whole face, some grow diagonal, some downward and so on, so just feel around and check where they're going - the best time to check the growth is about 2 or 3 days after you've shaved (not so easy for those who shave daily, but just have a close look!) and don't shave against the grain - this is what will end up in cut skin and ingrown hairs! ☮ Avoid after shaves with perfumes and alcohol, not only will they sting your skin, but they will irritate the fresh, sensitive skin and can lead to rashes, dryness and breakouts! ☮ Don't be mislead into thinking that the more pressure you put on the razor the cleaner your shave, this is not the case! It will only lead to more drag and irritation! ☮ Make sure you clean the blade after every stroke - all those caught up hairs will mean the razor cant perform at its best and can get cause extra drag on the skin. Some people like to shampoo their hair everyday, and while this is down to personal preference, it is not necessary and not good for the hair either. The more you wash it, the worse condition it will be in, unfortunately! The more you apply shampoo, the more you are stripping the hair of its natural oils - giving it that unhealthy frizz. Its is best to wash your hair every 2-3 days! ☮ Human Hair is weaker when wet, so towel drying your hair will not do it any good! Infact it could cause snapping and in the long run, leave you looking a little thin on top! Instead you can let your hair dry naturally, pat it dry or use your hairdryer on a mild heat setting. ☮ Hair dryers are great for speeding up the process - just make sure you don't get the heat to close to your roots - or it can cause your hair to get brittle and snap easier! ☮ STOP smoking! It sounds crazy but smoking constricts the blood vessels which will mean your hair wont be getting all the nutrients that it needs and will start to shed! ☮ If you style your hair everyday with a comb, try to alternate days between using a comb and your fingers - backcombing with a comb can cause the hair to break and become weaker! ☮ Eat olives! Olives have lots of Vitamin E which will stimulate the hair follicles, so try to eat a handful a couple of times a week! 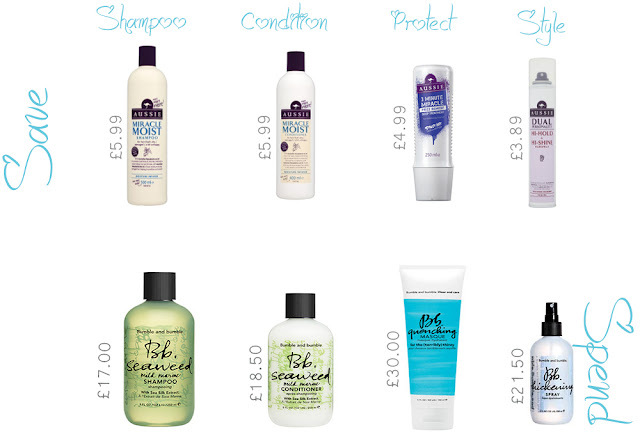 ☮ Wash your hair with gentle and mild shampoos, this will allow the hair and scalp to clean thoroughly but naturally! It wont damage your hair follicle so your hair wont have any stress or trauma and will grow healthily. ☮ I've said it before but Do not towel dry hair when its wet, it will lead to fragile and breaking hair! ☮ Try to keep your stress levels down, this may be easier said than done but hair loss is one of their first signs that you are overworking yourself - make sure you're getting plenty of sleep and doing things you enjoy regularly. So, Guys - here are your body care basics! Easy to follow and essential to maintain! If you Keep to these simple tips you will soon start to see great, glowing skin which leads to a happier you! What would you like to see next in my Men Care Series? Murmansk. The very word conjures up images of Glistening snow, Sparkling Lights & Winter Dreams! 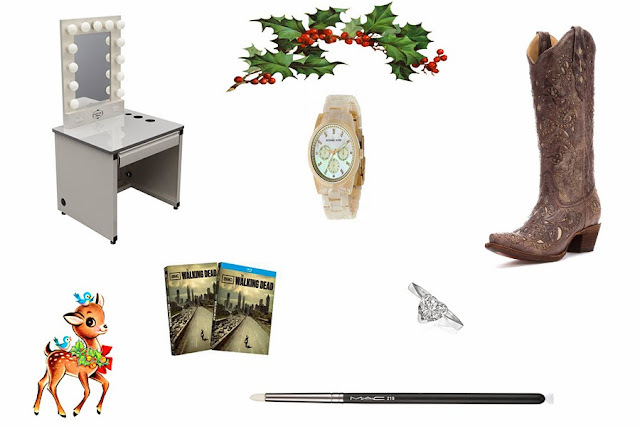 I have always wanted to go to Russia at Christmas Time & I always pictured what MakeUp I might wear on my trip, too! This Romantic & whimsical Look is inspired by Christmas in Russia, and it is perfect to wear Ice Skating, Shopping the Christmas Markets - Or even a Winter Date! 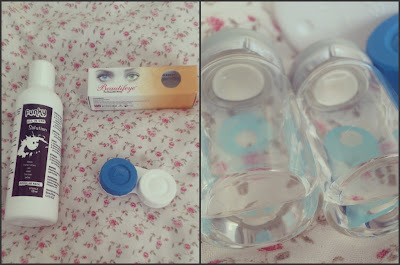 I Really wanted to make this Look stand out & feel Very special so I bought some of these Lovely silk Blue contacts from a company called Beautifeye. They are only £9.99 and are so Beautiful! You can like them on Facebook (here) and find the code to recieve FREE delivery, FREE lens Solution&case, and 10% off your order! 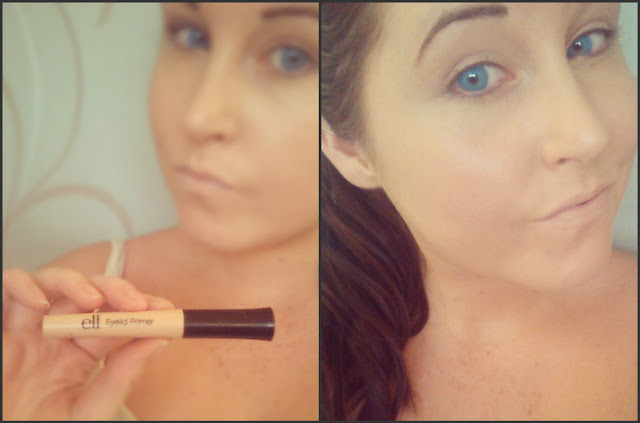 To begin, I am Using this Liquid Foundation by BH Cosmetics in Light Rose ($4)! I am applying with a sponge (£1.50 for 8 at ELF), allllll over my face & neck! I have decided not to use any translucent powder for this look as I want it to look dewy and fresh, but you could apply some if you like! After My Foundation has Settled, I am applying some ELF Eyelid primer (£1.50) all over the eyelid and in a winged shape on the outer corner of the eye. This product has a doe foot applicator, so I usually brush it on with that and then gently smooth it down with my fingertips. Eyelid primer will give your eye shadows grip and stop them sliding around! Now I am Using a naked (or natural) eye shadow as my base! I am using This Bourjois Little pot of eyeshadow in 08 Beige Rose (£4) - but you can use any light shade you have. I am applying with a round fluffy brush. Next, lets add some sparkle! I am using this MUA Eyeshadow in shade 3 (£1), it is a Pearl grey/silver colour, and I am applying it in a thick V shape on the outer corner of my eye! Using this MUA eyeshadow contour brush means that it can be blended outward and tapered across the crease of your eye! Now, I am taking this Gorgeous matte blue shade from the BH Cosmetics 'Take me to Brazil' Palette ($10)(review coming soon)! You Could use any blue you love best! 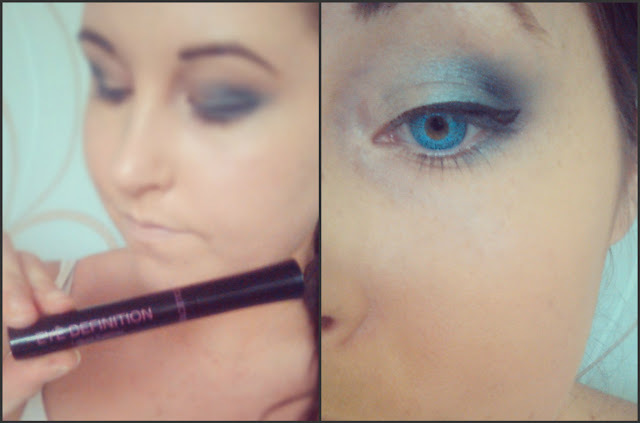 I am using the same MUA eyeshadow contour brush and blending the blue into where the silver was - this will give an incredible shimmery icy effect! Take a black eyeliner pencil, I am Using MUA intense glitter pencil Liner in 'Starry Night' (£1), and draw a tiny V shape in the outer corner of your eye! Then take a small fluffy blending brush, like the ELF Blending Eye Brush , and start to blend it into the outer corner of your eye, keeping in the V shape! This darker shade really brings the colours together and makes the shape of the eye very defined! 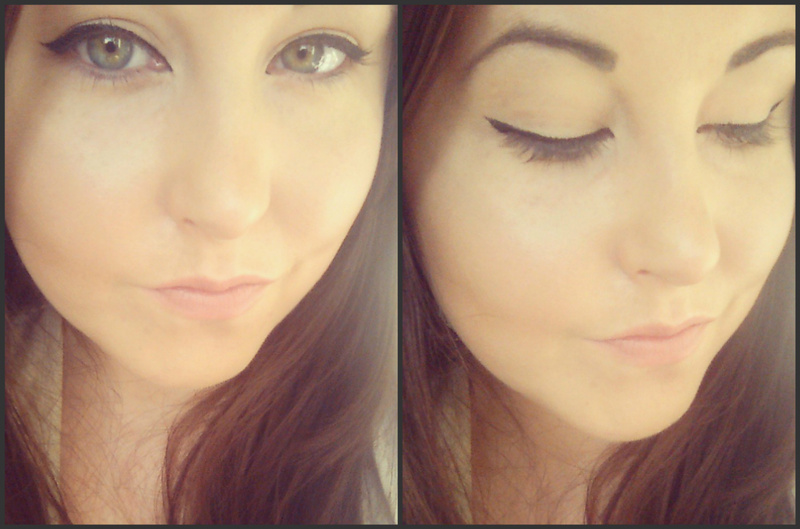 Now I am creating some extra Girly-ness with a lovely eyeliner flick! I am Using Collections Eye definition liquid eyeliner (£2.99) and gently drawing in a feline flick shape (you can see my how-to Here!). 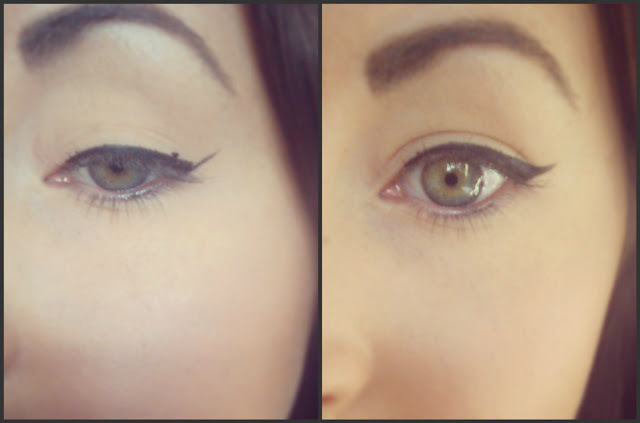 You could use Liquid, gel or felt liner - which ever you feel most comfortable with! Yey! Lets add some lashes! I just got these in Primark for £1, I love the natural and full look of them! But you could use whichever lashes you like best! Before you apply your lashes, always hold them against your eye and make sure they are the right length - you may need to trim them down or they can be uncomfortable and poke into your eyes! 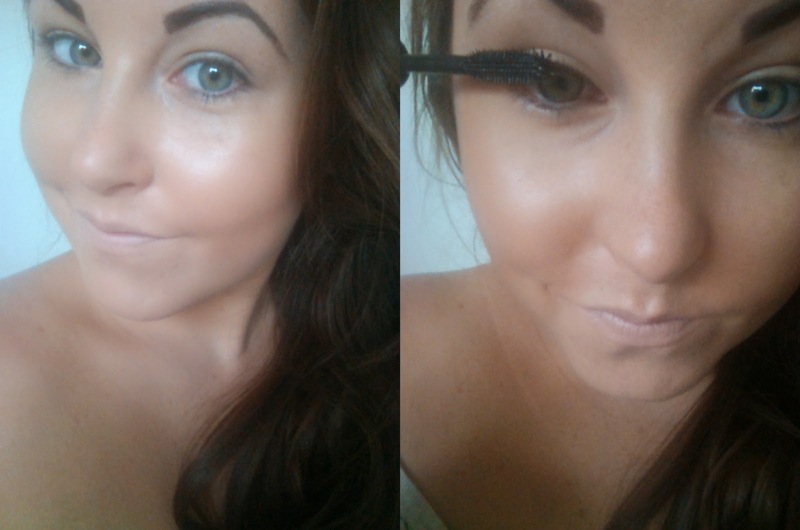 You can see how perfect the eyelashes look with this makeup, they are very girly and give a very lovely POP to the look! You could also add some of that lovely blue shade just underneath your lower lashes too if you like! 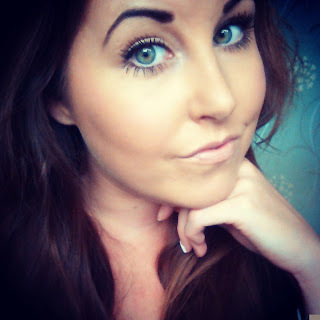 I started by contouring my cheeks with this MUA Bronzing powder (£3). Taking a small amount of the product onto your MUA contour brush, sucking in your cheeks and applying in that hollow spot right up to your temple will give you really lovely looking cheekbone structure. I then added a small amount of this Pink HD Blush By ELF in shade'Headliner' (£3.75), this will look so cute and gives that lovely chilly cheeks look! I just dab a small amount of this on the apples of cheeks with my ring finger - a little goes a long way! You could use any pink blusher you have to complete this step! Because the eyes are quite bold in this look, I feel it is important to balance the face out with a pale or natural lip. I am starting by Lining my lips with this lip liner pencil by ELF in shade 'Natural Blush' (£1.50) - its good to make sure your lip liners are always sharpened properly so you get an even coat! I then filled in my lips with This gorgeous pale pink Lipstick By Fashionista in shade 'How Do I Look?' 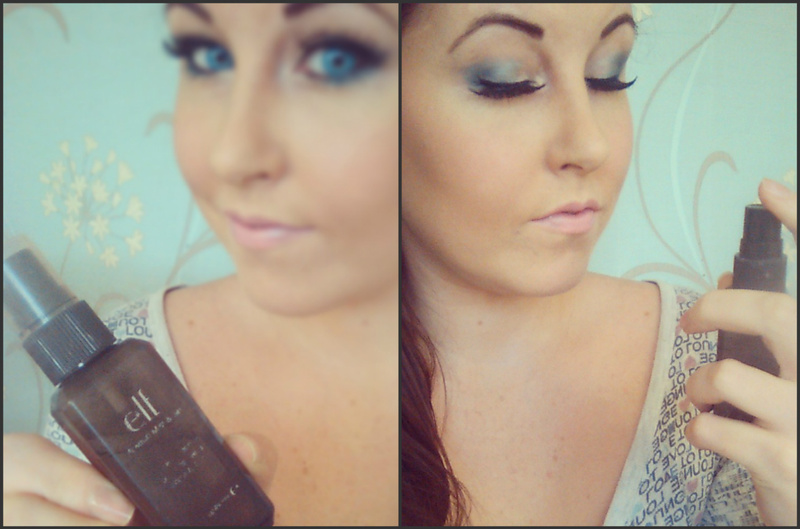 (£1.50) - this gives a really beautiful finish paired with the blue eye make up! Because you are most likely to be wearing this look out in the cold air, I thought it would be nice to finish it off with some setting spray to make sure it doesn't fade or smudge! I am using this setting spray by ELF (£3.75) - it is a very light mist and dries almost instantly! && There you have it! 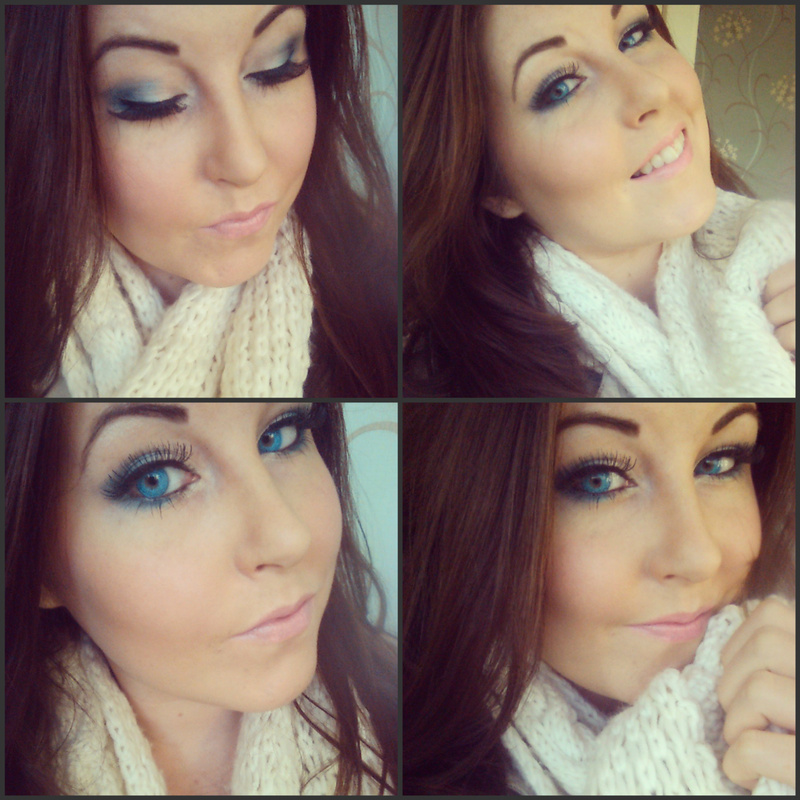 Your very own Winter makeup, fit for a Russian princess! Just pull on your coat and wrap in your scarf and you will be glamorous and ready to go! I hope you all enjoyed this tutorial - Let me know what you think & what you would like to see next! 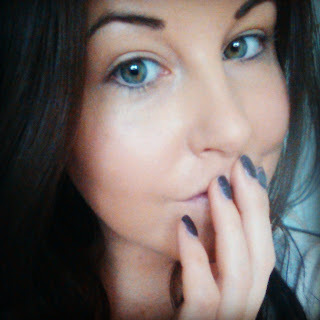 One of My Beautiful Readers recently asked me to do some everyday Makeup 'How-to's' and I was more than excited to start blogging away! Eyeliner has been worn by women for centuries - the ancient Egyptian women are well known for defining their eyes with large cat-eye designs! This tutorial can be adapted to any eyeliner product you prefer, whether its gel, pencil, felt or liquid - they will all look stunning! If you are not applying your eyeliner on top of eyeshadow make sure your eyes are clean and dry - also try to avoid putting mascara on first as your lovely eyelashes can get in the way and cause smudges! 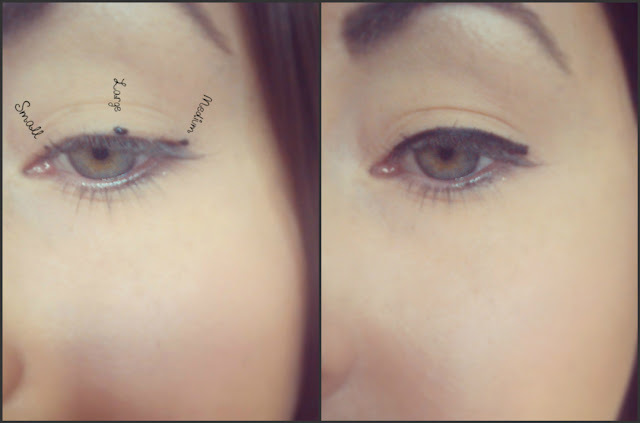 The first step is to take your eyeliner and draw three small dots on your upper lash line. A small one on the inner corner (where your lashes end), a large one about 2 thirds of the way across your lash line and a medium one on the outer corner of your eye (you can see my image above for a better idea of where they go!). Then you will need to carefully join these dots up - if you are using a thin liner join up the top of the dots and fill in the gap - getting as close to your lash line as possible. There is no hurry to do this so take your time so it stays nice and neat! Now you need to draw another small dot just above the line you just drew, close to the outer corner of the eye (see my picture above), and you will need to draw a straight diagonal line, coming out from the outer corner of your eye and going up toward the ending of your eyebrow! 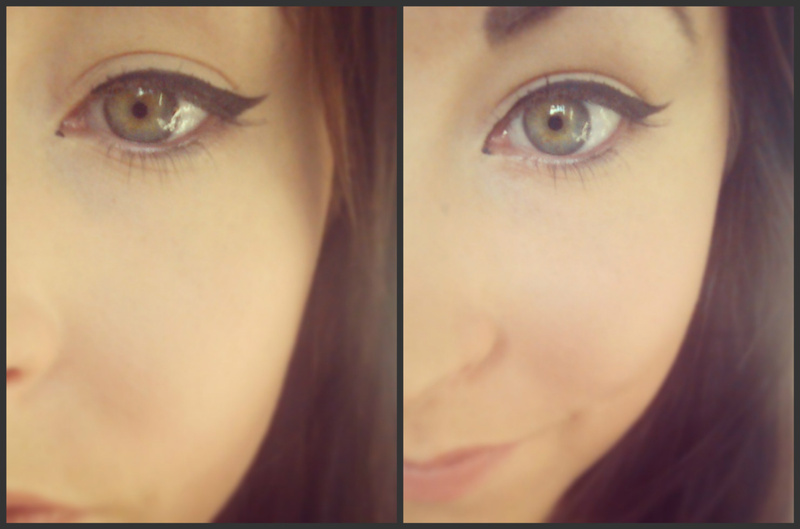 This line can be as long as you like - it depends how much of a flick you want to have on your eyeliner. Next, draw another diagonal line that goes from the dot and meets with the top of the straight line, and then fill it in carefully. If you make any mistakes - don't panic! You can easily clean it up with a Q-tip (cotton bud), just place it on the problem area and twist it (don't drag it! ), this will remove the make up and wont leave you with a big smudge to clean up! ... But if you want a more dramatic look, just draw another small dot right on the edge of your tear duct and then continue the line from the top of your eye and connect it with the dot! Doing this part is especially nice if you are using a pencil liner on your lower water line, as it gives a perfect cat eye look! There you have it! Easy, everyday eyeliner! You could alter this any way you like - you could make the flick shorter or longer, you could make the liner thicker or thinner - whatever you like best, its sure to be beautiful! Eyeliner really defines your eyes and makes them appear much larger - so it looks great alone, but if you want the perfect finishing touch, just add your favourite mascara! 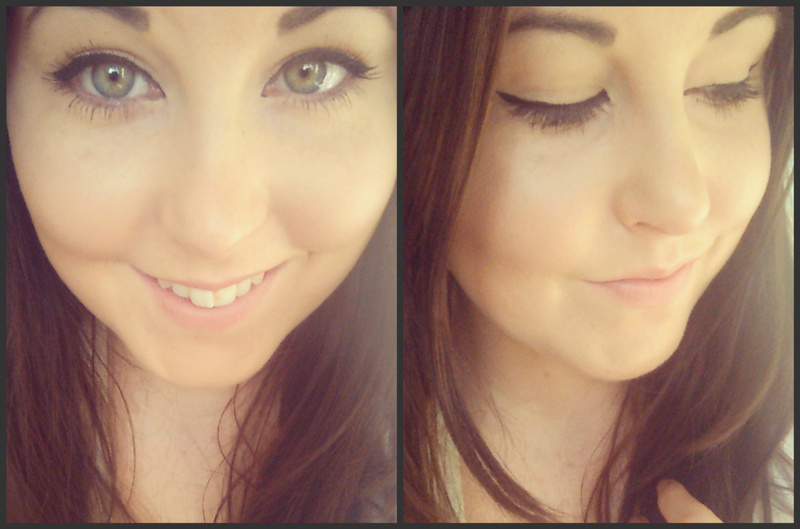 I love to use Benefit's 'They're Real' Mascara - you can see my post all about it here! I hope you all found this tutorial helpful - let me know if there is any other MakeUp Basics you would like to see my Blog about! After having over 1500 views on my recent MUA Luxe Glitter Palette Post (here), I thought I'd try out another product from the range for you all to see - the product I have been dying to get my hands on since August, MUA Luxe 'Velvet lip lacquers'!! 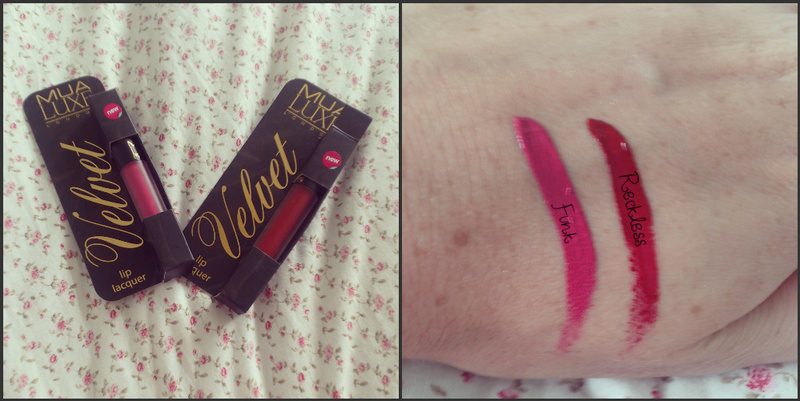 This is 'Funk' a Beautiful rich pink colour - it is a great dupe for LimeCrimes Lip Velvetines, which are $17! The packaging of the lacquers is lovely - they come in a wonderful sleek outer cardboard sleeve which slightly reveals the actual product. Once you slide the tube out you'll notice that it is amazing and very unique - it is frosted glass! It just looks so expensive and is different than anything I own already! I really like this shade - I wore it to a party on Saturday night and it just didn't budge - even when I was taking a sip of my drink it never came off on the glass! 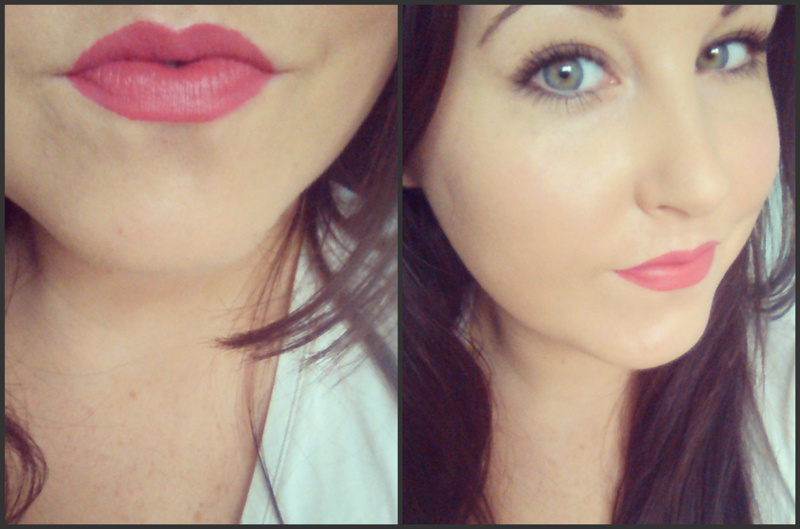 These lacquers are matte which meant that my lips did get a little dry but it was still nothing short of amazing! Say Hello to your 'Reckless' side with this gorgeous shade! Its such a deep colour and is perfect for the autumn & winter months! I find it hard to match red shades to my skin tone but this one was perfect! The applicators of these lacquers are traditional doe-foot shaped, which means they apply very smoothly and easily - but as they are so richly pigmented just apply them slowly to make sure you get neat lines! 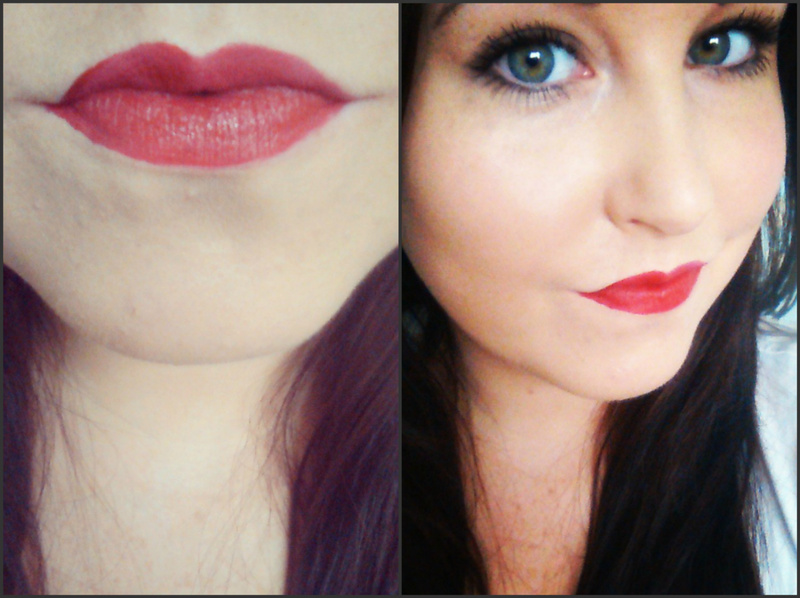 This is my absolute favourite shade at the moment and I cant stop wearing it! I think it gives such a great fullness to the lips and lasts so long! Or you can pick them up at the MUA online store, here! Have you tried these out yet? What is your favourite shade? I'm sure most of you have heard of this mascara before - it is the UK's best selling mascara which promises to 'lengthen, curl, volumize, lift & separate' your lashes. I have heard many a claim like this before from mascaras, but let me tell you, I needn't have worried - 'They're Real' Gives every last lash definition, curve and extra oomph! The Packaging is a wonderful mirror-shine chrome, with a lovely hourglass shape & the brush is just amazing - it is a rubber brush, (which I am very fond of for the flexibility), with a special domed ending which is small enough to coat each & every tiny corner lash perfectly! ...But after just one coat of 'They're real', every lash is curled, defined and jet-black glamorous! I did find that this mascara was a little wet, but as long as you apply it slowly, you will have no worry of your lashes clumping. I applied a little eyeliner and another coat of 'They're Real' (anymore than 2 coats and my lashes began to clump - not that 2+ is really needed!) and my eyelashes felt amazing - they almost looked as though I was wearing false lashes because of how fanned out and black they were! 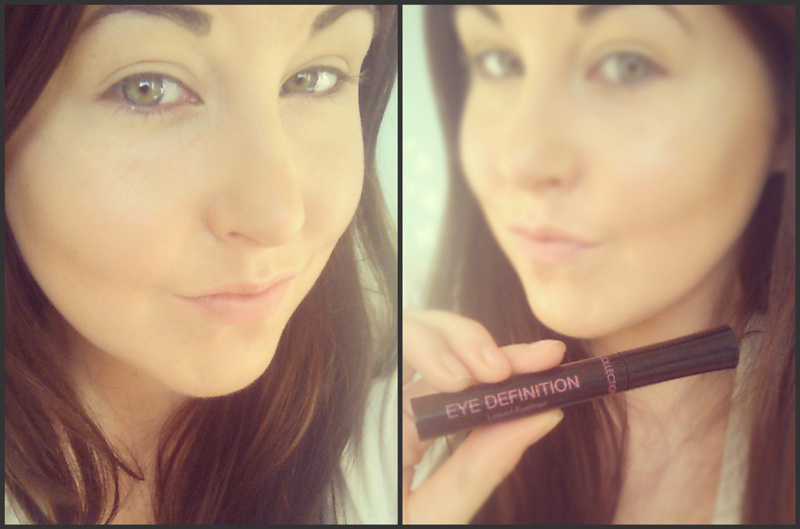 I Love this mascara so much, it is so silky and soft to apply and it lasts forever - no flaking or crumbling! The Cost of this Mascara is a little more than I would usually spend, but now that I know how amazing the results are, I would happily pay it again. So Girls, if you're looking for the perfect finishing touch for your upcoming party season looks, or just want something to put on your Christmas list - let this be it! Time to Put on your favorite Dress, Slip Into some Heels & Look down right fabulous! Don't panic - If you're 20 minutes from leaving the house & realise you are all out of your favouite fake tan, there is an easy D.I.Y solution - All you need are 2 simple ingredients that EVERYONE has lying around at home! All you will need to do this is a bowl, a tablespoon, a teaspoon, your favourite moisturiser and, the magic ingredient, Cocoa Powder! This is a simple and effective trick that will save you money and make you look great! * All you need to do is put about 4 tablespoons of your moisturiser into a bowl (you could use more if you are going to be covering your whole body) - This will be enough to tan your legs perfectly! * Then you need to add 2 teaspoons of the cocoa powder, you can use any you have at home. *Then mix it all together thoroughly and apply to your skin! Don't worry if the moisturiser looks really really dark - it wont come out so dark on your skin, so you can add more cocoa powder if you like a darker tan! There you have it! You are a golden glowing goddess!! Let me know if you have tried this! What did you think?? I am so in love with Christmas! Its all sparkly and pretty and happy! You get to spend lots of time with family, trim your house with wonderful decorations, eat lots of nice food and watch those lovely Christmas movies that remind you of being little. It really is a magical time! Oh, and, am I forgetting something? Oh yes - presents! As much as I Love spending lots of time choosing just the right presents for my loved ones and wrapping them with love & Care, I cant help but be a little selfish and think of what lovely things I would dream of receiving! Here is my Perfect Christmas Wishlist! It's filled with all the things I would love to receive this year! First is the 'Broadway Lighted Vanity Makeup Desk' by Vanity Girl Hollywood! Its quite expensive but I would be so happy to have it in my room - It would be perfect for proudly displaying all my favourite makeup! Its has dimmable bulbs so it would mean I could apply my makeup perfectly in any light or at any time of day, these lights also mean I could get some great, clear photos for my Makeup Pictorials. I also love that it has electrical outlets, so I could plug in my straighteners and get more practice in at doing my hair in new styles! One more thing I really love about this, is that it is made by an eco-friendly manufacturer! Ohhh, how beautiful are these cowgirl boots from Country Outfitter?? I don't think I want to add up the amount of time I have spent browsing their online store and dreaming of my life in the country! Many of you may not know that I am a real country fan - I love the music, the lifestyle and the fashion - but alas, I was born a city girl haha! These boots are gorgeous and the perfect way to show my love to the countryside! They are made from tan distressed leather and feature a very beautiful and intricate cream cut out design with bronze stud detailing! Yee-Haw! My Christmas just wouldn't be complete without a bit of TV Time, and the Walking Dead is the best thing my eyes have seen on TV! I love it so much and would love even more to own it on Bluray! If You haven't watched it yet, I strongly recommend you put a few days aside and watch them back to back - I guarantee you wont be able to switch it off! I always buy my DVD and bluyrays from play.com as the prices are just unbeatable! The final thing I would love this Christmas is this pretty 219 Pencil Brush from MAC Cosmetics! I have a lot of make up brushes but nothing like this, and I have never seen another brand offer anything like this so I would love to try it out! It looks perfect for blending eyeshadow and really looks like it could get into all the creases of the eye perfectly. MAC are renowned for the ultimate in quality, so I cant see this being a disappointment! What have you been dreaming of receiving this Christmas?